In order to begin to make reductions in our carbon dioxide emissions, we must take a critical look at our energy sector. It is not likely that technological progress will slow in the future. It is neither necessary nor indicated to halt progress in order to address carbon dioxide emissions. Despite being the dirtiest fuel for producing electricity, coal is the most abundant fuel in many areas of the world. The United States is economically and technologically poised to join the leadership of European countries that are restructuring their energy sectors to include renewable and non-emitting sources of energy. Many environmentalists take umbrage with the fact that Bush has called for 1000 new coal fired power plants in the next 20 years in his National Energy Policy. It would not be wise, however, to abandon coal entirely. As an abundant source of fuel in the United States, coal is not dependent upon foreign markets. This is the case in many developing countries around the world. These nations are experiencing exponential increases in electricity demand, as they strive to join the international economy. The cost of implementing a brand new technology such as wind power or solar parks in these nations is cost prohibitive. Updating existing plants to a new coal gasification technology however is a more realistic approach. There is potential in coal gasification to sequester carbon dioxide as well as remove emissions prior to combustion. By contributing our economic, scientific and technological resources to research and development of improved coal gasification processes, the United States may be able to lead these developing nations in environmentally responsible electricity generation. The United States energy sector should not rely solely on improvements of fossil fuel generation, but must begin to make a substantial effort towards renewable sources of energy. Large-scale possibilities for wind power exist in many areas of the United States. Dr. Willett Kempton of the University of Delaware, discusses his study of the power generating capacity of the winds Middle-Atlantic Blight in his article “Large CO2 reductions via offshore wind power matched to inherent storage in energy end-uses” published in the January 24, 2007 Geophysical Research Letters. The Middle-Atlantic Blight is the coastal shelf off the east coast from Massachusetts through North Carolina. Kempton and other researchers at the University of Delaware found that the MAB holds the potential to produce 330 GW average electrical power, far exceeding the current demand for electricity, light vehicle fuels and building fuels combined. The study projects that replacing these end uses with offshore wind would reduce the region’s CO2 emissions by 68%. This is utilizing an existing technology that is already is cost-competitive. The costs of initially installing offshore wind farms would quickly be recovered in the stable price of wind…$0.00. Wind is often challenged as unreliable as it does not blow constantly and it tends to blow less in the summer. Energy storage research and development should be a national priority. Capturing the unused portion of wind energy would drastically expand the capabilities of both off shore and on shore wind. Dr. Kempton published another article in Windtech International that describes a method utilizing electric vehicles for storage for large-scale wind power. By implementing electrical vehicles on a large scale, they could be electrically connected to the home, giving and taking energy as needed. The idea would be to expand the grid to your vehicle. By having a diversified number of end uses (vehicles, homes, and businesses) attached to the grid all giving and taking energy as needed, otherwise wasted energy can continue to flow along the grid until it finds an end user. In addition to large-scale energy solutions, residential and localized power generation should be expanded to diversify our energy supply. Localized power generation should be further developed as well. On many of the nation’s major rivers, there are old water wheels. These can easily and cost-effectively be converted into small-scale hydro electrical turbines. By locating small power generators closer to end users, energy loss is reduced, as the electricity must travel shorter distances. Localized generation also reduces large-scale vulnerability to outages. All of these areas of alternative energy must be explored further. No interest loans should be provided by the state for homeowners to install geothermal heating and cooling systems, photovoltaic panels, rooftop wind turbines and solar water heaters. Homeowners would be able to pay back the loan with the funds saved in electricity purchase without increasing their expenses. The loans could be funded by tolls on state highways. The technology for each of these power sources is readily available currently. Many homes currently generate their own power utilizing these sources and are able to sell excess power back to the grid. 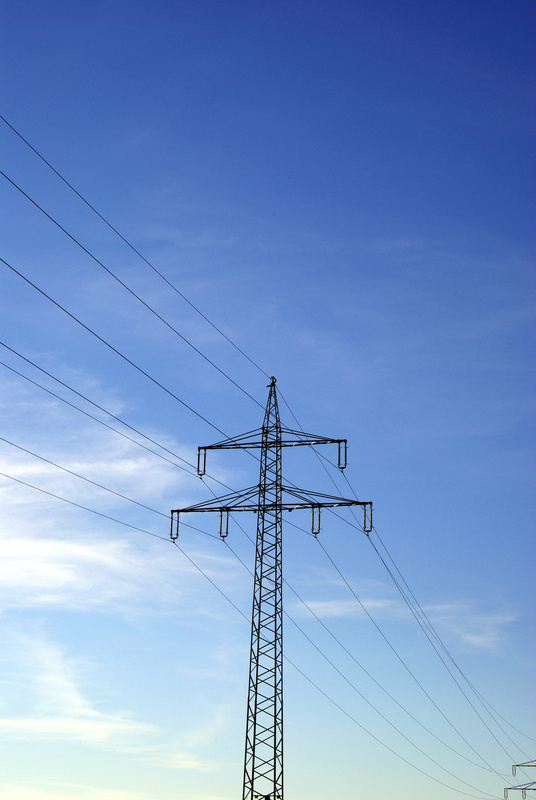 By being connected to the grid, these customers are protected from any intermittency of their own sources as they can draw power as needed. The National Energy Policy’s allotment of $1 billion for alternative energy development and $30 billion for fossil fuels development is laughable. Ideally an equal allotment would send the message that we as a nation are as committed to future sustainable electricity generation as we are to sustaining our current level of economic development. It is in our national interest to invest in offshore wind along the Middle Atlantic Blight; software and hardware development for V2G technology; development in energy storage; residential power generation and localized power distribution. While some may fear that aggressive action will halt economic and technological development, it is only through aggressive tactics that we will be able to continue to compete in global marketplace. Climate science aside, between impending carbon emissions taxes and drastically increasing prices of oil and natural gas, alternative energy development is an economically sound investment.